According to the World Health Organization, between 130 and 150 million people worldwide have hepatitis C, a liver infection caused by a virus with the same name. While the infection can lead to serious health conditions, many people may not realize they have it. What scientists are now discovering is how the hepatitis C virus (HCV) also affects nervous tissue, leading to fatigue, depression and cognitive dysfunction in those who are chronically infected. A new study reveals how these neurological effects may be connected to the development of Parkinson’s disease later in life. A progressive disorder affecting the body’s nervous system, Parkinson’s can be managed with treatment, yet does not have a cure. Taiwanese participants in the study with and without different types of hepatitis were followed an average of 12 years to see if they developed the disorder. Those with hepatitis C were 30 percent more likely to develop Parkinson’s than those who were not infected. 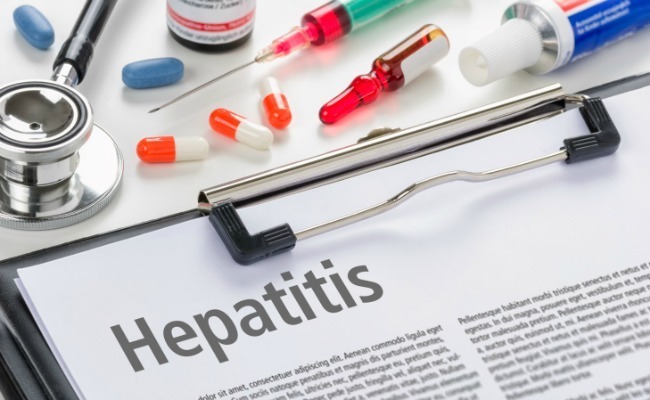 The researchers are calling for more investigation into the connection of HCV and nervous system damage, yet increasing prevention measures against HCV infections is still a wise choice. HCV is a bloodborne pathogen, meaning it is largely transmitted through sharing needles, unsafe medical practices and accidental needle sticks, or—as is largely the case in Taiwan—unsafe blood transfusions. The virus can also be passed on from mother to infant at birth. While hepatitis C infections can be fairly common, treatment is often costly and not all of those who need it can access it. It is estimated that one round of hepatitis C treatment can cost up to $100,000 and significant discomfort for the patient. Additionally, some insurance companies will refuse to pay for the medications patients need. If you can—and after you’ve talked with your doctor—wait until costs drop or more affordable treatments are developed. Research your options with alternative therapies, pharmacy prescription programs which may offer discounted pricing, and your health insurance’s fine print. Enlist your doctor’s help in communicating medical necessity to insurance companies. Appealing a denial of treatment with the back-up of your provider may allow them to see the light (usually in the form of less costly interventions for them in the future). Reach out to the drug manufacturers for possible financial assistance to pay for drug co-pays. Contact the Patient Access Network Foundation, a nonprofit who offers assistance for individual struggling to pay for treatment. Call them at 866-316-PANF (7263). I was diagnosed of Parkinson's disease following a neurological examination and other series of tests, my symptoms first appeared in February 2014 tremor in both limbs, rigid muscle, impaired posture.. all medication prescribed were not working and i sadly took off from my job, being a single mother with two kids it was almost a hopeless situation. In September 2016, i read about Dr Abumere herbal center in a health forum, this herbal center have successful parkinson's disease herbal treatment and treatment for other list of terminal diseases, i contacted the herbal center via their email and purchased the parkinson's disease herbal remedy. I received the parkinson's disease herbal remedy via courier and immediately commenced usage. I used the remedy for 14 days, all my symptoms including tremor gradually disappeared till i almost forgot i had the disease, i have started working again, thanks to Dr Abumere herbal center. abumereherbalcentre@gmail.com Parkinson's disease is not a death sentence, don't die believing there is no cure, its a final breakthrough for all living with parkinson's disease.